25% Off First Lite – 2 Days Only! This is one sale you won’t want to miss, 25% Off on all First Lite clothing! This 2 Day Sale will only be available on Monday, October 31st & Tuesday, November 1st, 2016. When you checkout simply use coupon code FIRSTLITE25. As an added bonus, for every $250 you spend on First Lite gear, we’ll send you a complimentary gift from Bowhunters Supply Store as our way of saying Thank You! Click here to view all First Lite products! Mark your calendars! We will be having a 25% Off sale on all First Lite clothing this coming Monday & Tuesday, October 31 – November 1, 2016. Don’t miss your chance to save big on your favorite hunting clothing! Also, if you haven’t already, follow the link below and sign up for our email blast and never miss another sale! 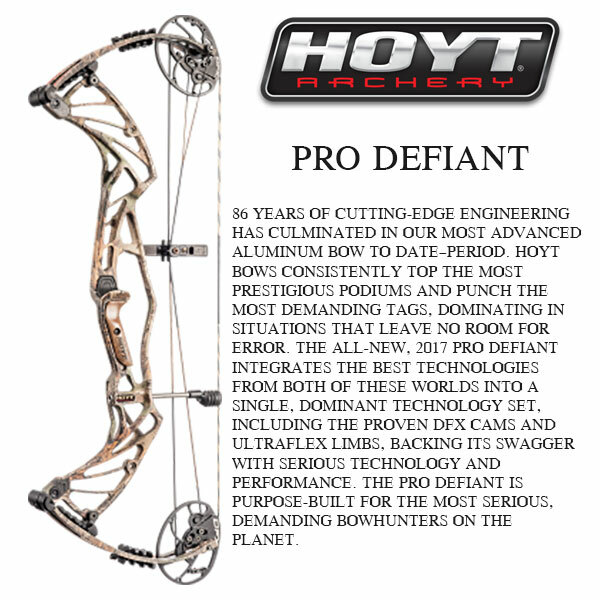 The new Hoyt Pro Defiant has arrived, come by the store and check it out! 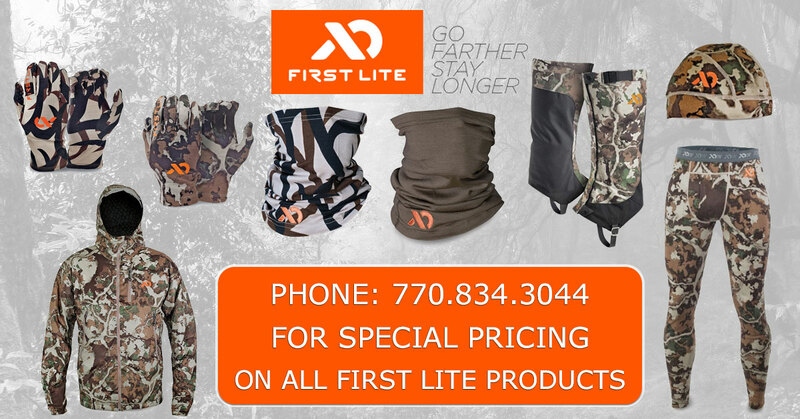 Call us today at: 770.834.3044 for special pricing on all First Lite clothing. Don’t miss our week long Columbus Day Sale beginning on Tuesday, October 11 through Saturday, October 15. 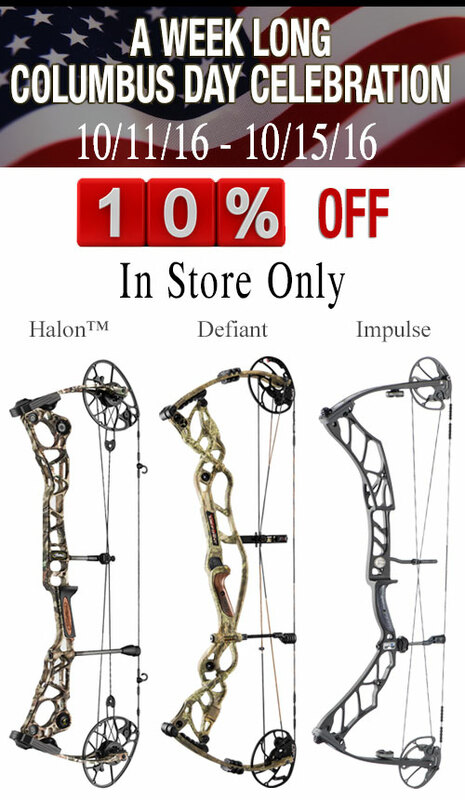 Save 10% on all Halon, Defiant and Impulse bows.